Legal Forum for the Land of Israel says if A-G can't keep his politics out of his work, he should resign. The Legal Forum for the Land of Israel says the State Attorney's Office (SAO) and Attorney General Yehuda Weinstein have put politics before professionalism in the matter of Migron. The Forum asked Prime Minister Binyamin Netanyahu to devote time in the next cabinet meeting to a discussion of the professional behavior of the SAO and the AG in legal proceedings regarding the community of Migron. Forum Director Nachi Eyal accused the Justice Ministry officials of purposely disobeying the government's decisions in the way they presented the official position on Migron in the High Court. Supreme Court President Asher Gronis ruled Friday that the planned demolition of homes in Migron will be postponed by at least 20 days. Eyal said the SAO department in charge of high court motions had engaged in "shameful and subversive behavior" vis-à-vis the government and the Ministerial Committee on Settlement. "Despite a clear decision by the ministerial committee according to which Migron must not be touched before the residents' claims regarding purchase of the land are heard, the SAO did not raise the matter forcefully as required before the High Court judges," he accused. 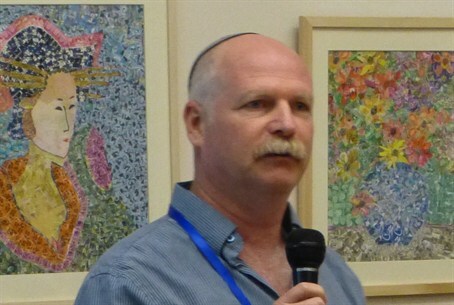 The SAO's behavior is "serial and intentional," Eyal added. "If Attorney General Weinstein and the director of the High Court Motions Department can't represent the government's position, they had better resign from their positions and be the next names in the Meretz list for Knesset, right after Talia Sasson," he jabbed. Sasson, who held a senior position in the SAO, wrote an antagonistic report on "illegal outposts" in 2005, which has served since then to justify demolition of Jewish homes in Judea and Samaria (Yehuda and Shomron). She joined Meretz and ran in its Knesset list in 2009 – thus lending support to the oft-stated nationalist complaint that the Justice Department is politically slanted to the extreme left. The High Court a year ago ordered the Migron homes to be demolished because they were built on land alleged to be owned by Arabs. It was disclosed three weeks ago that most of the land has since been bought by the Israeli residents from the alleged owners, and a the cabinet's Committee on Jewish Settlement in Judea and Samaria has said it will not object to a petition by 17 of the Migron families whose homes are on the land that was bought thus.